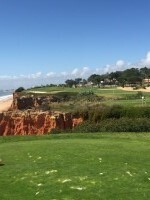 Please select a date of play to check availability on Vale do Lobo Royal. 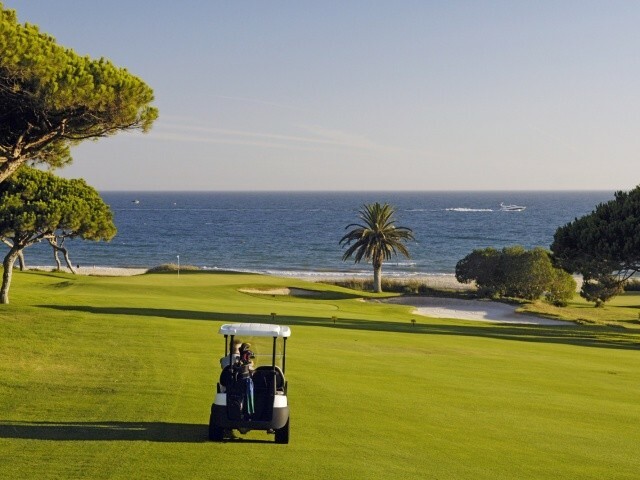 The original course of Vale do Lobo was divided into the Ocean and the Royal Courses. In order to make the necessary 36 holes several new holes were constructed - most of which are integrated into the Royal Course. The architect of this course has skilfully made a layout that takes the golfer through some interesting play then leads into to a grand finally on the eighteenth. The most famous hole remains the par-3 and now is the spectacular sixteenth. 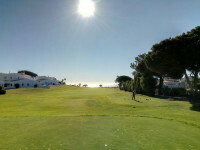 The very demanding eighteenth is a challenging hole on which to finish demanding accuracy and very good putting. Der Kurs ist wunderbar in die Landschaft eingepasst, es kommt keine Langeweile auf. Es gibt Spielbahnen mit blinden Schlägen, die durchaus für Überraschungen sorgen können. Die Löcher am Meer, insbesondere das Loch 16 Par 3 mit den Klippen, haben für einen richtigen Kick gesorgt. Der Pflegezustand der Anlage war ausgezeichnet. Die Grüns waren sehr schnell und sensationell gepflegt. 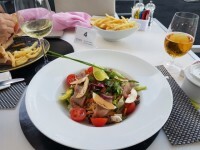 Das Personal im Clubhaus, beim Caddiemaster und in der Gastronomie war überaus freundlich und sorgten für einen aufmerksamen und professionellen Service. Interessant: Es war die erste Golfrezeption in Portugal, die das Handicap abfragten. Meinen DGV-Ausweis wollten sie allerdings nicht haben. An diesem Tag waren einige Gruppen unterwegs, die aber nicht wirklich die Spielgeschwindigkeit beeinträchtigten. Ich werde diesen Kurs gerne im nächsten Jahr wieder spielen. Course just re-opened after 2 weeks closed for maintenance, for which they offered free carts as it wasn't in top condition. Greens actually rolled ok and sand on fairways didn't prove to be an issue. 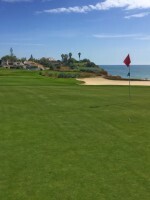 Tight course and would definitely play again when it's in the best condition. The famous 16th par 3 didn't disappoint. Good course, tough but fair. Played as a three ball and walked round in just under 4 hours. Greens show signs of the maintenance that was done but nothing too major just coring and sand on some more than others. Thoroughly enjoyed it. My first time in Algarve.....and not the last. Great location,great design fantastic last 4 holes (especially 15-16),perfect maintenance ,reception desk perfect,only bad the driving range little and maximun practice concess are 9 iron. 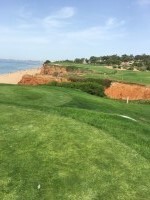 To post a review, score or a notice on Vale do Lobo Royal page's or to connect with other Vale do Lobo Royal golfers, please log in to your account or sign up using Google or Facebook.